After her father left, Rachel had to dedicate her life to managing her household: her two younger sisters, her disabled mother, and her three-year-old nephew. When Rachel's not struggling to look after all of them, she makes her living cleaning the houses of wealthy families-including the Wests, where a surprise now awaits her . . .
A lifetime of drifting in other people's currents has finally left Claire high and dry. First it was her parents, then the popular crowd in school, and finally her fiance. Now she's returned to Hartley-by-the-Sea to recover. But running into Rachel brings back memories of past mistakes, and Claire wonders if she now has the courage to make them right. Soon Claire's brother, Andrew, asks Rachel to keep an eye on Claire, which is the last thing either woman wants. 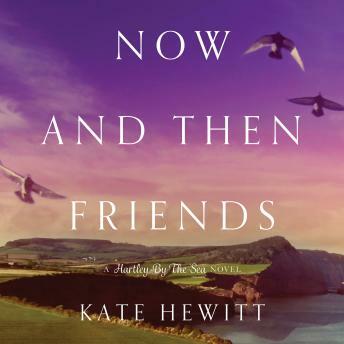 But as their lives threaten to fall apart, both Claire and Rachel begin to realize what they need most is a friend. The kind of friend they once were to each other, and perhaps can be again . . .